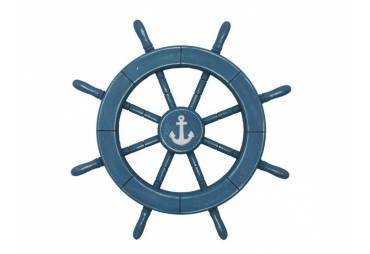 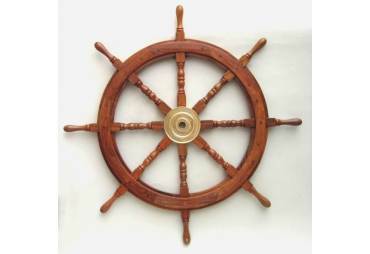 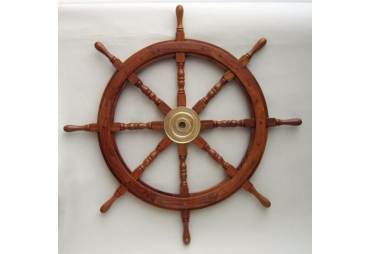 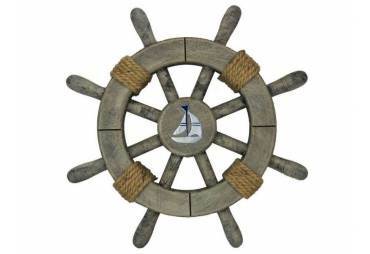 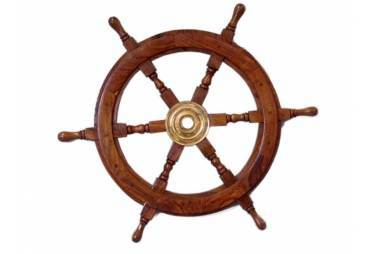 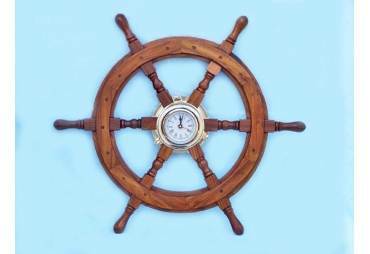 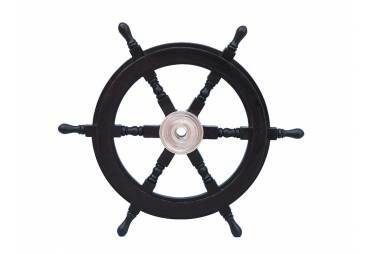 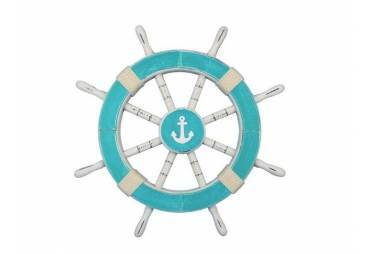 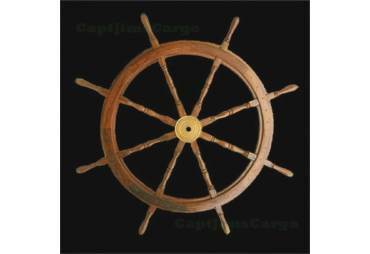 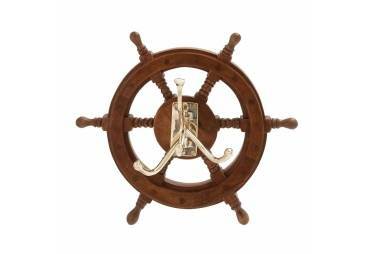 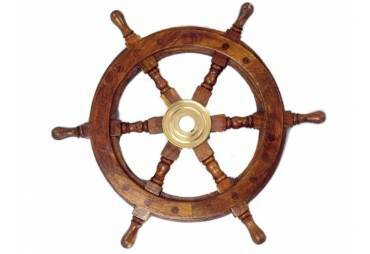 → Nautical & Coastal Decor >Ship Wheels>Ship Wheel Clock 18"
The Nautical Ship Wheel Clock is made out of real Shisham hardwood and is a great addition to any home and office. 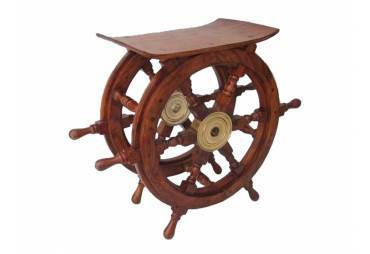 Shisham is very similar to the Teak that we all know to be an extremely hard wearing hardwood that will resist the elements. 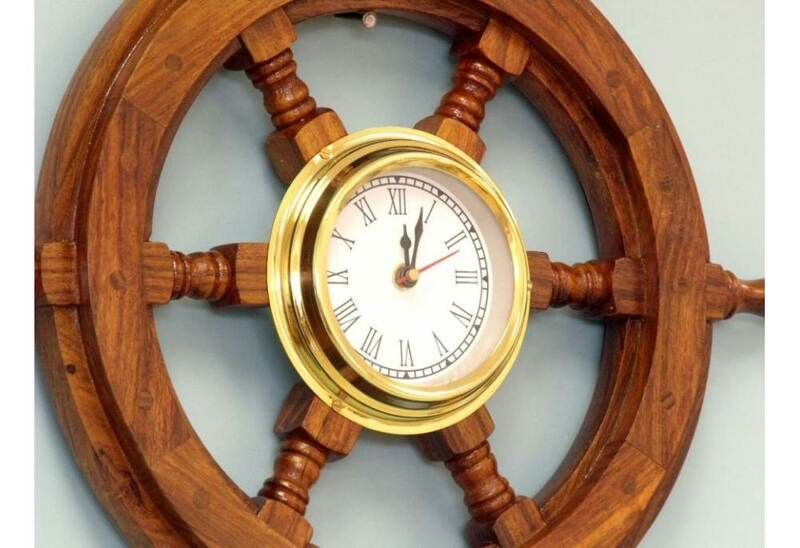 In addition, the center of the wheel is solid brass and includes a real working clock. 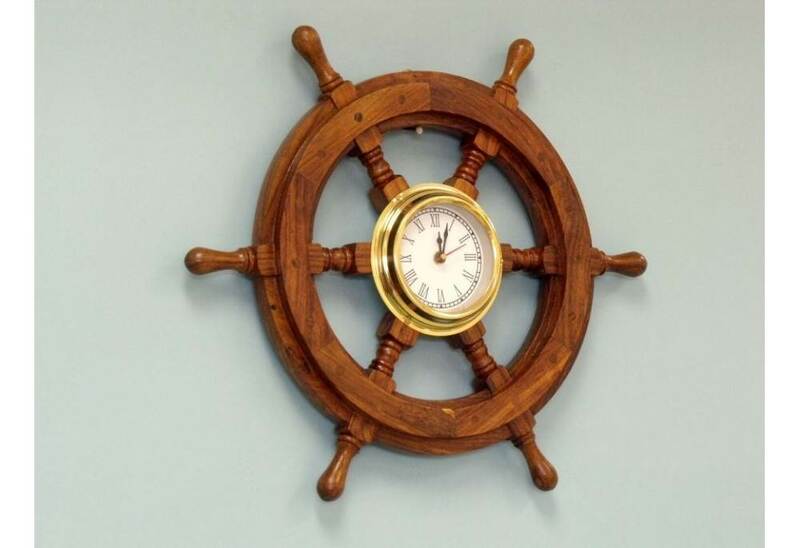 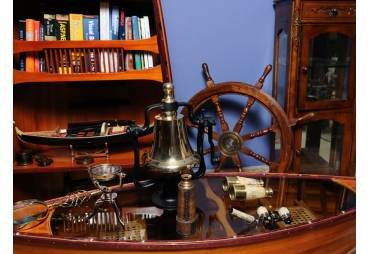 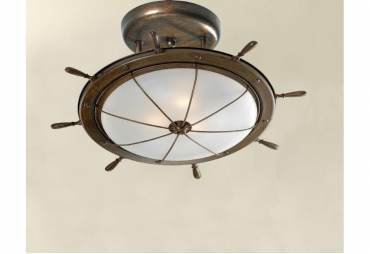 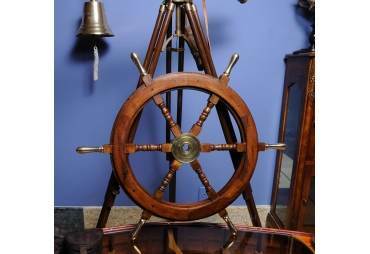 The clock is approximately 8-inches in diameter and rests perfectly inside the ship wheel. 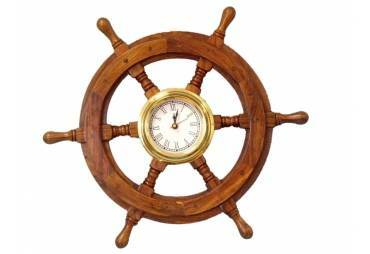 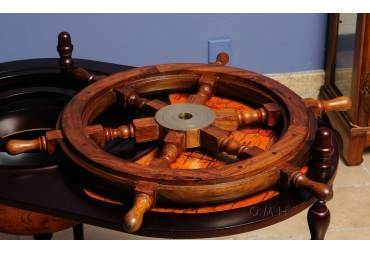 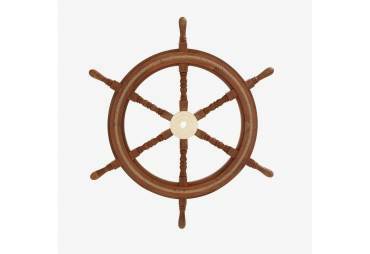 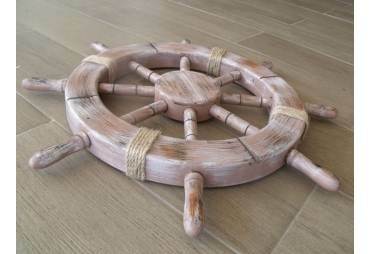 This small wooden ship wheel clock requires AA batteries to operate (not included). 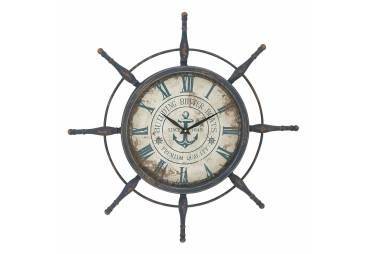 These can be easily changed on the back of the clock. 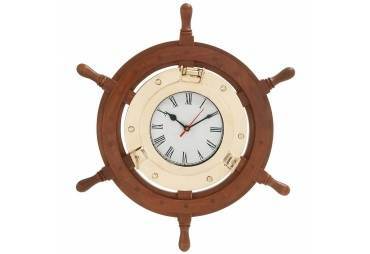 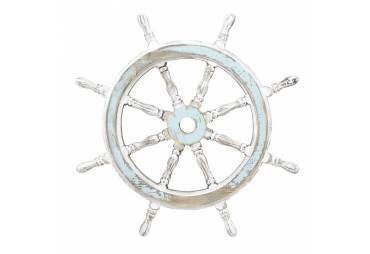 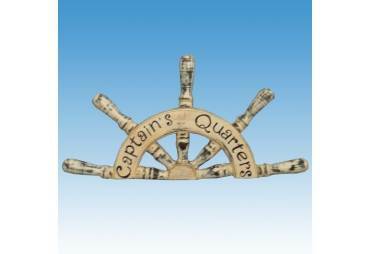 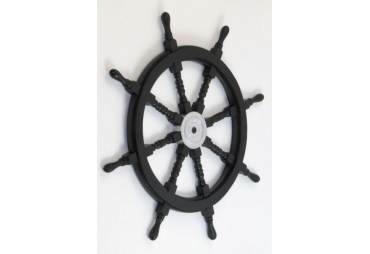 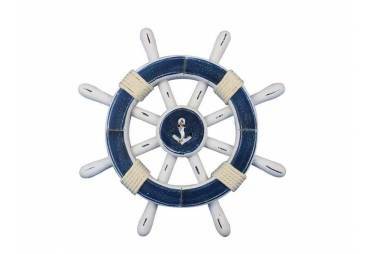 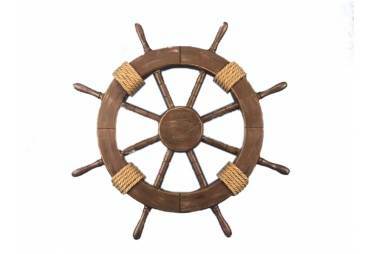 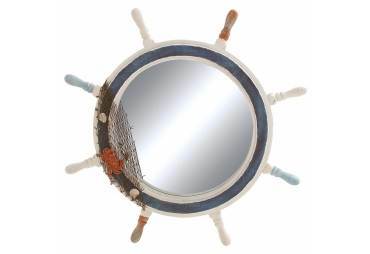 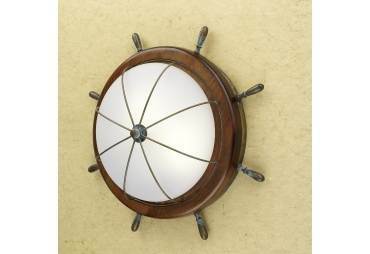 This ship wheel clock also features a hinge in the back to easily hang on any wall.